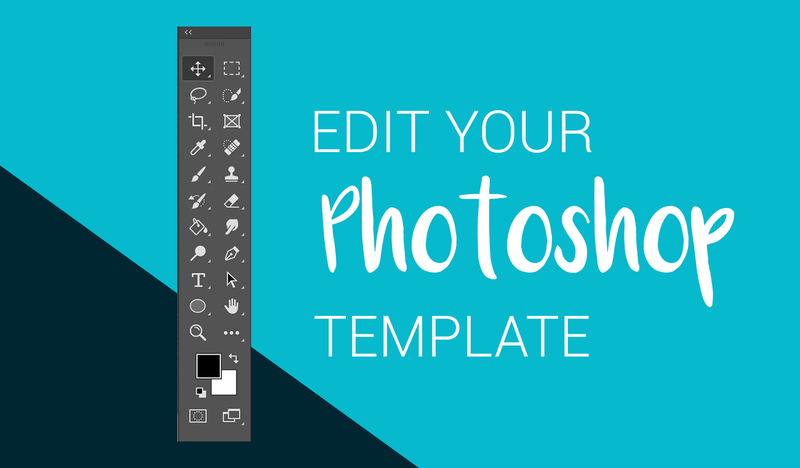 Chances are if you are reading this article it is because you have purchased an Origami Collective Photoshop template and you are now looking to edit your template. Well you have come to the right place! For those of you that are more visual learners, I have created a video containing all the information in this article. 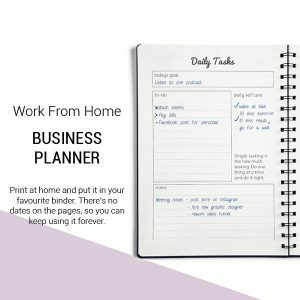 If you haven’t purchased a template from us and you have stumbled upon this article from somewhere else, feel free to read along as the techniques I speak about are useful for any Photoshop user to know. 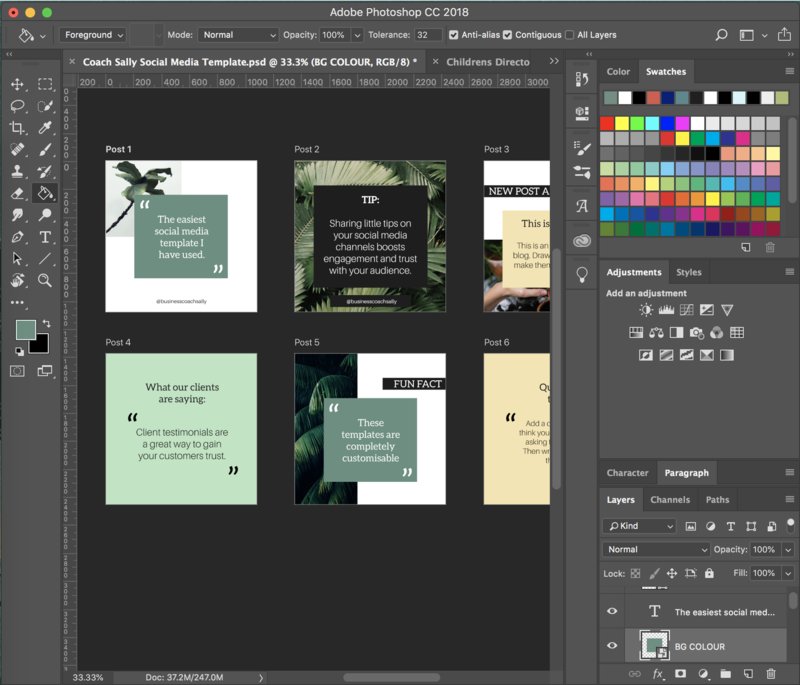 There are two different methods that have been used to allow you to change the colours on your template (depending on what template you have purchased), either using solid colour layer with a layer mask, or using smart objects. 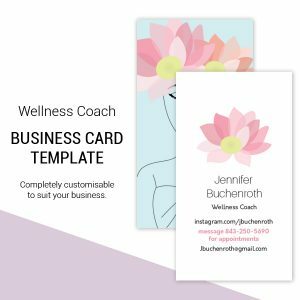 Before we begin changing colours, it will come in handy if you have the HEX codes of your business colours. Or even the RGB values. So you can see that the flower layer has had its colour changed to pink using the solid colour layer. 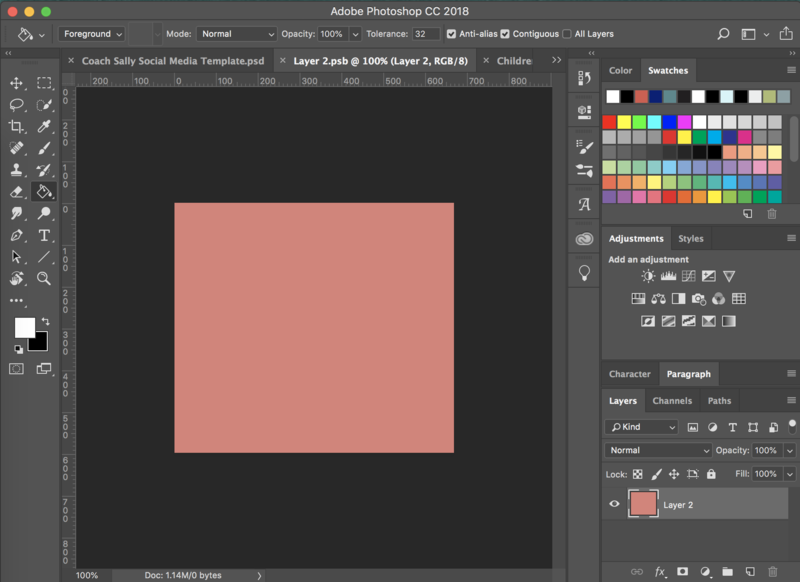 To change the colour, simply double click the solid colour layer (the pink square) and select the colour you would like to change it to. As you can see, this has also changed the colour of the middle of the flower (which we don’t want). So this is where the layer mask comes in. 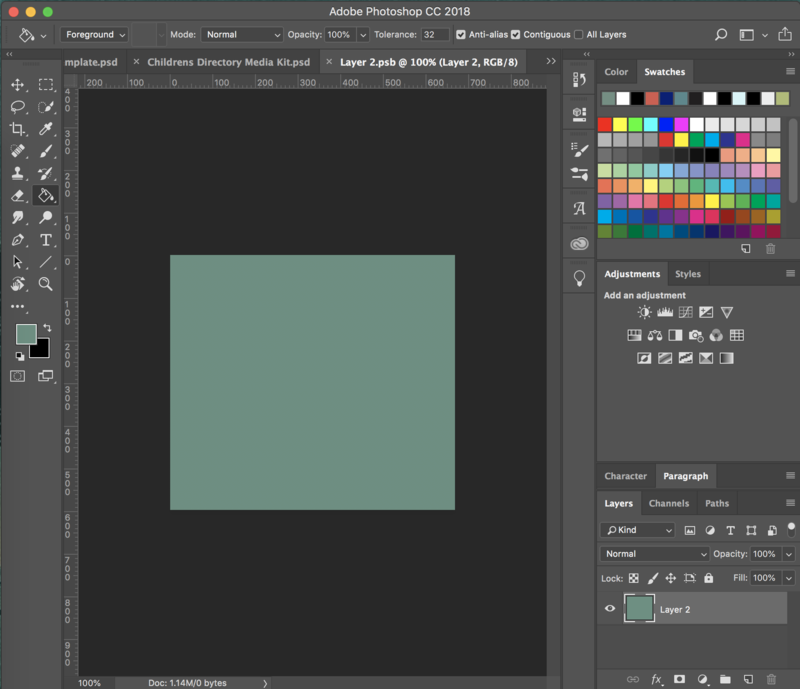 Select the brush tool (keyboard shortcut – B) change it to 50% hardness, and make sure black is your foreground colour. You can use this method to essentially recolour anything you like! 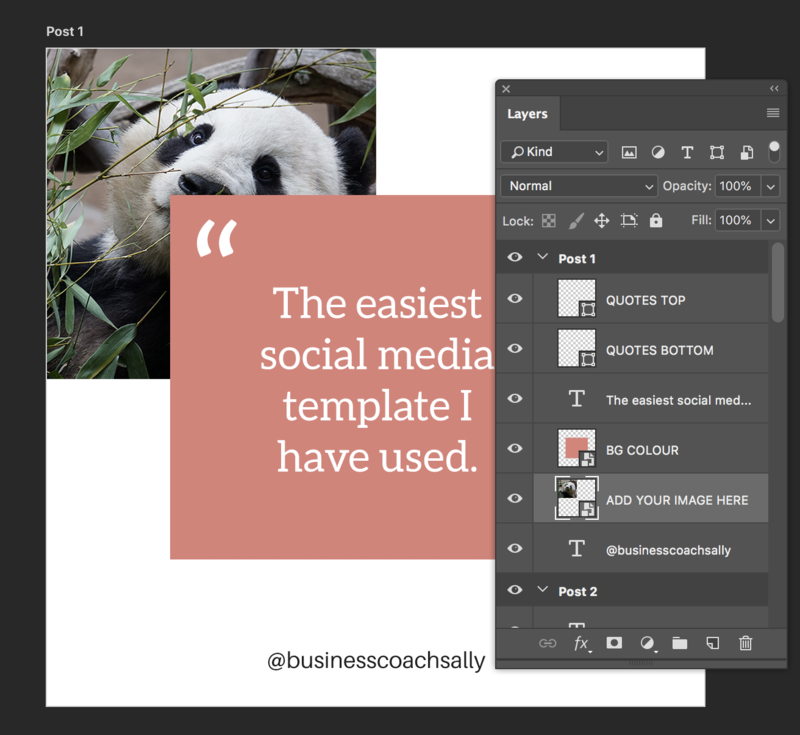 Then using the paint bucket tool (keyboard shortcut – G), fill the layer with your desired colour. Hit cmd + s to save the file, and then close it. You will then see all the instances of the peach colour have now been changed to your selected colour in the file. 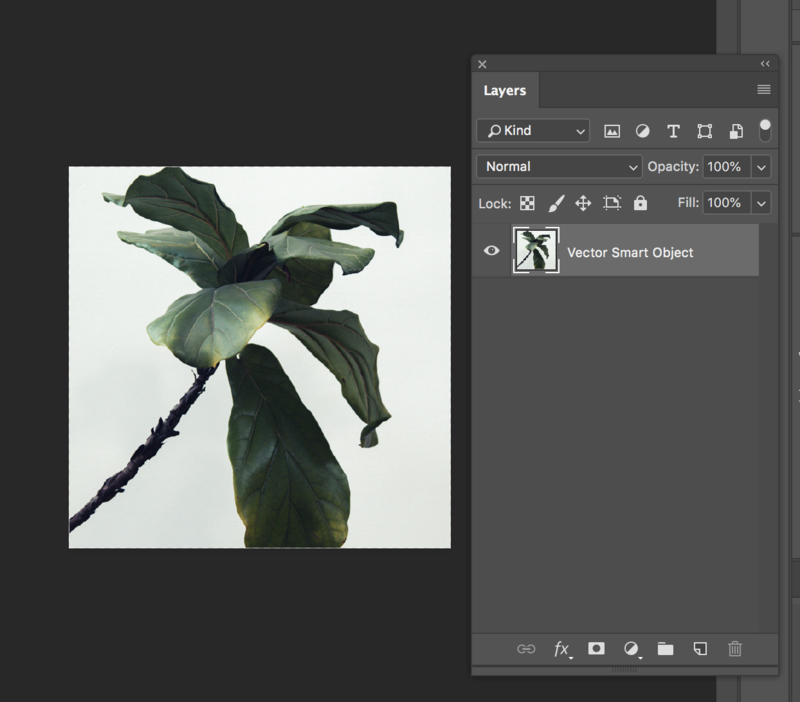 Smart objects allow us to edit layers without changing the layers original characteristics. If you duplicate a smart object and make a change to the duplicated layer, this change will be reflected on the original layer as well. 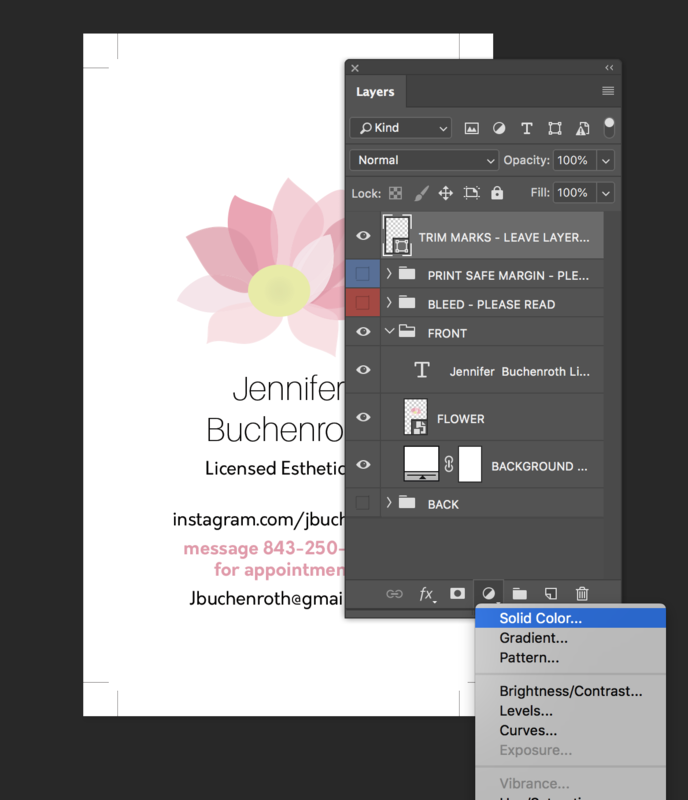 Smart object layers are linked, allowing you to make changes throughout files with ease. To set up a smart object layer, use the shape tool (keyboard shortcut – U) and create a shape with a solid fill colour and no stroke. 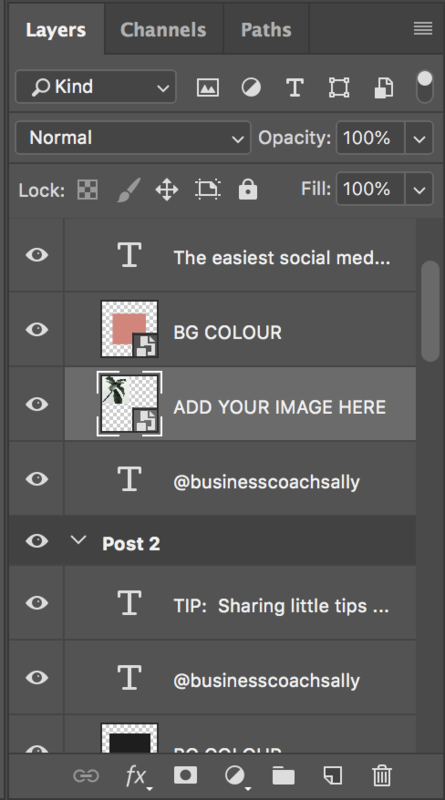 Then right click on the shapes layer (you need to right click on the name of the layer) that has been created in the layer panel and select ‘convert to smart object’ from the menu that appears. You now have a smart object. Using free transform (keyboard shortcut – cmd/ctrl + T) you can resize the shape to suit your needs. 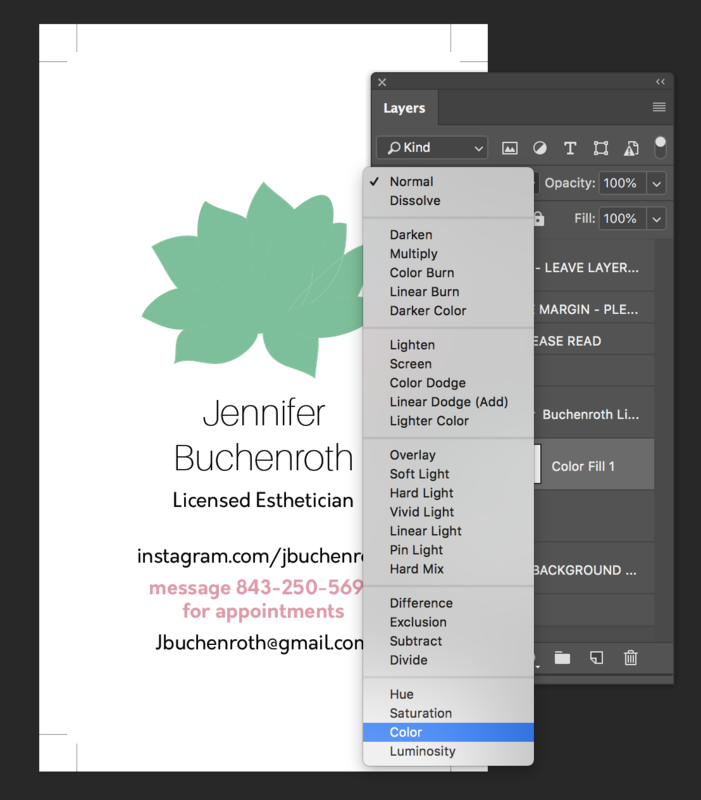 Duplicate this layer to create linked smart object layers. This smart object layer can also be used to recolour an object. 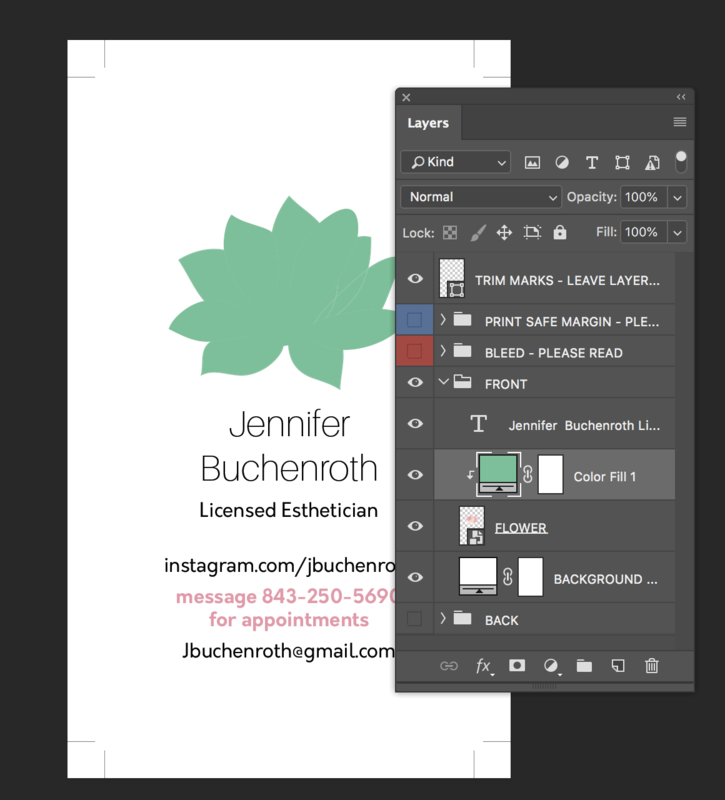 I have dropped a graphic into my file, and placed the layer underneath the smart object layer. 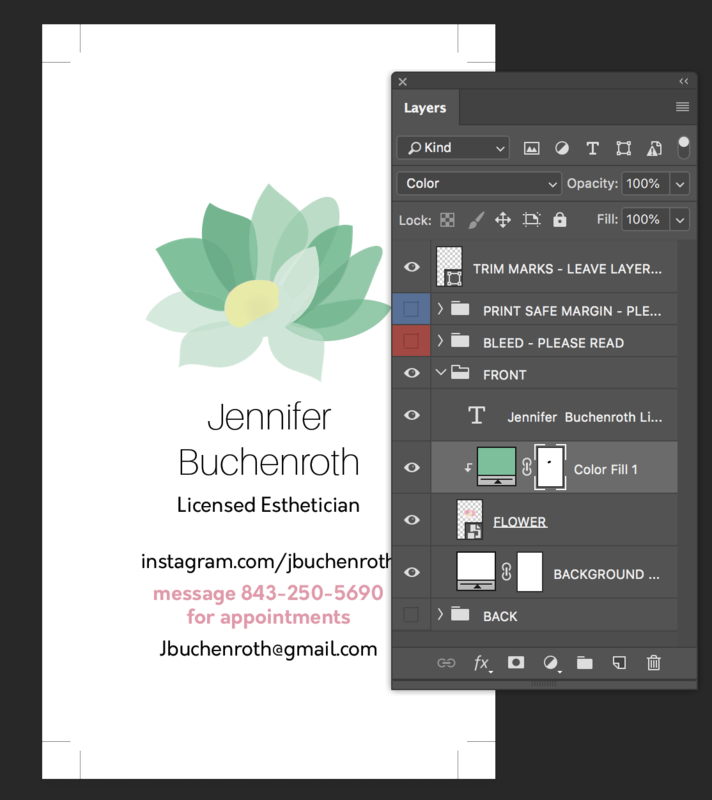 You need to ensure that the coloured rectangle is covering all of the graphic. 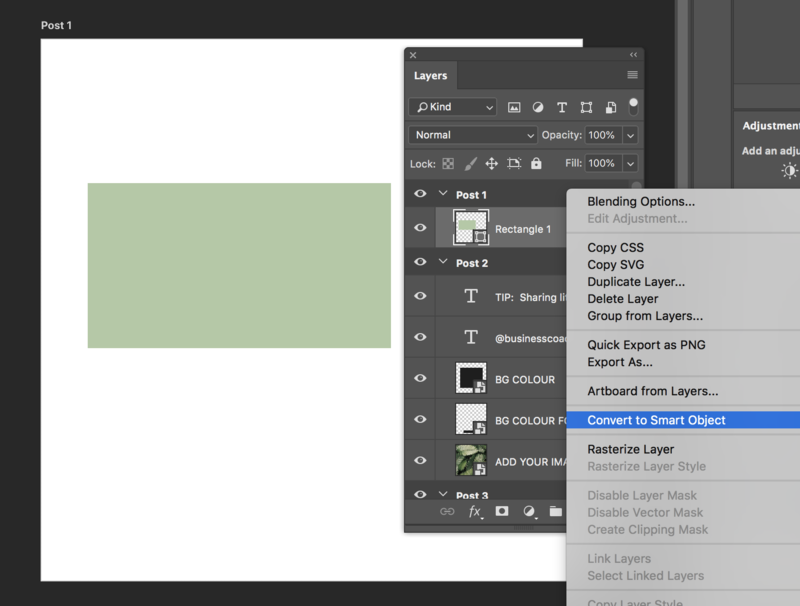 Then you need to hold alt and click between the two layers to link them. This will then change the colour of the graphic. 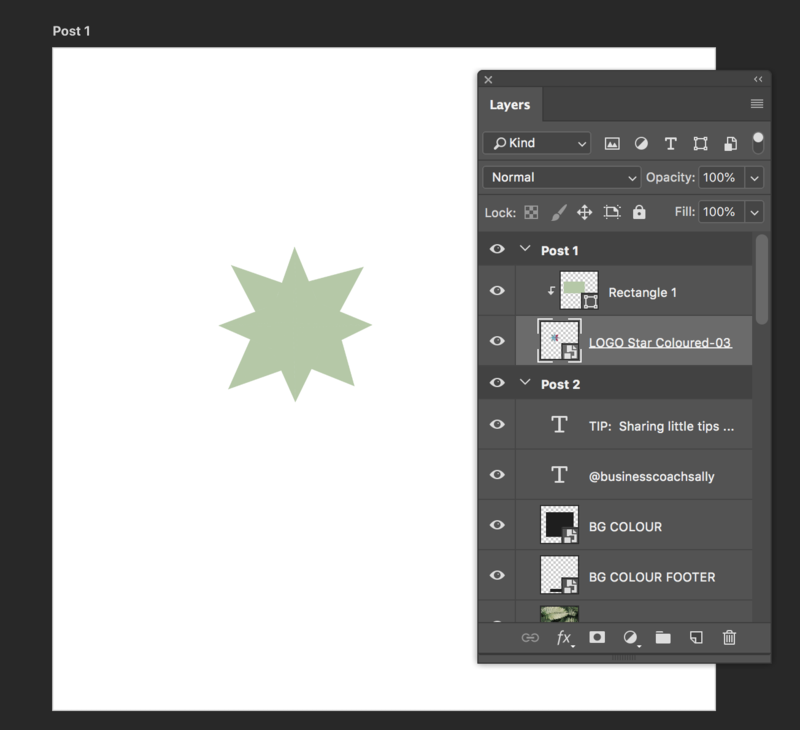 You could then duplicate the smart object rectangle layer and link it to other objects to recolour them. If you ever wanted to change the colour later, you would only need to adjust the colour on of the smart object layers, and they would all change. NOTE: The linking only works if you duplicate the smart object layer. Any duplicates of the original will be linked. If you create a new smart object layer from scratch it will not be linked to your other smart object layers. 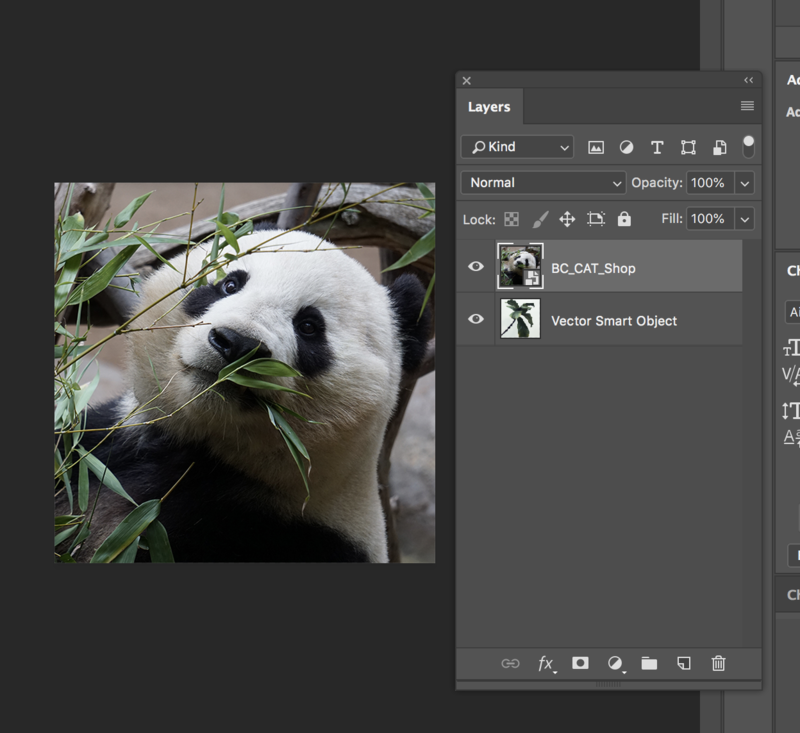 Editing a smart object layer with an image is it is essentially the same as editing a colour smart object layer. 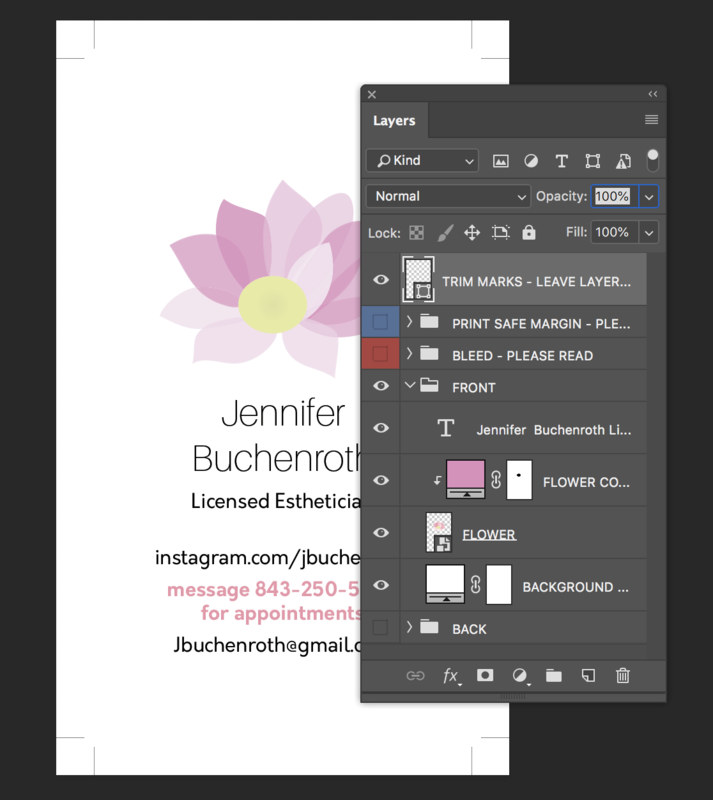 Double click the smart object layer and a new window will pop up with just the image on the artboard. 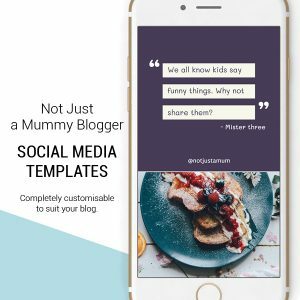 Drag and drop you new image onto the artboard. Place it as desired using free transform (keyboard shortcut cmd/ctrl + T), hit enter once the image positioned to your liking. Go to File > Save (keyboard shortcut cmd/ctrl + S) and then close the window. Your image should now be changed! 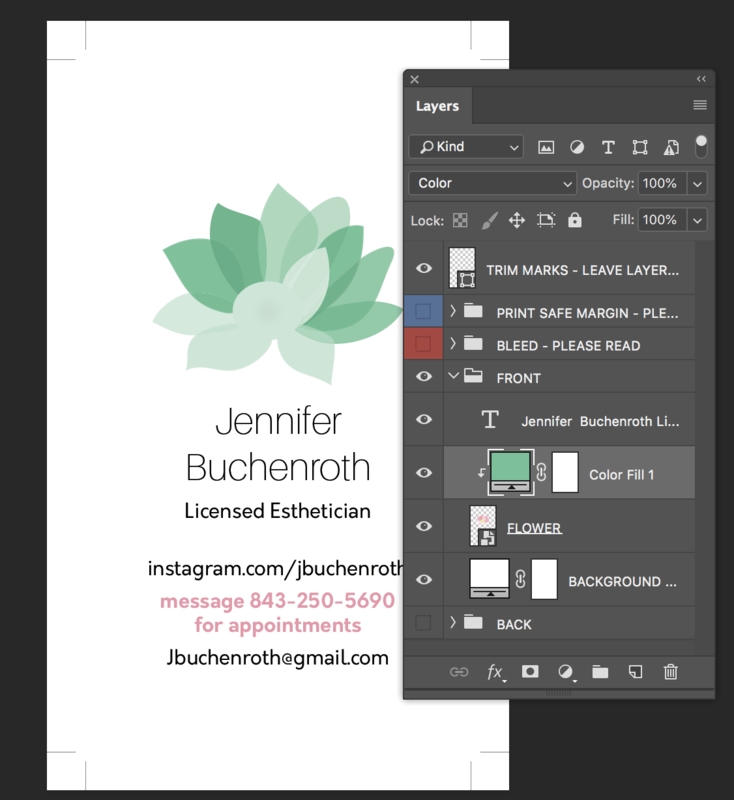 If you have purchased a business card template from us, please ensure you read the print and bleed layers on the Photoshop file before you make any changes to your template.